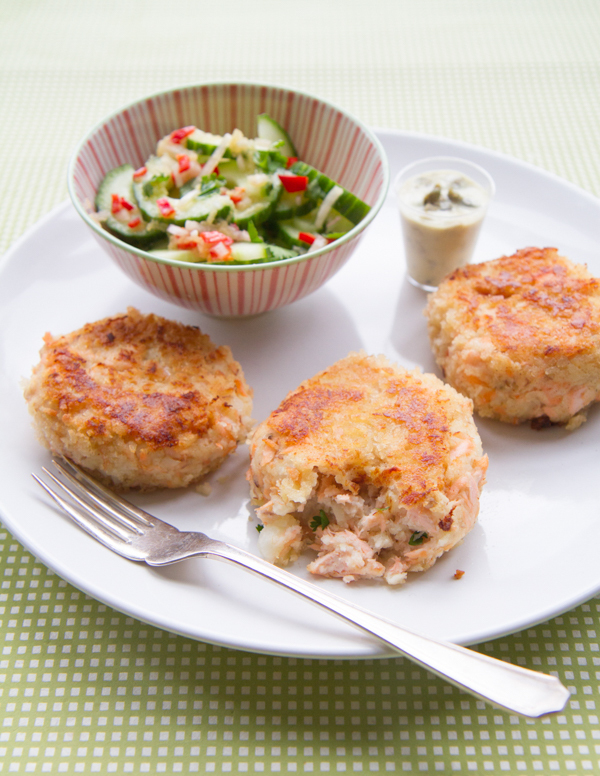 Fishcakes are a true British staple. Usually made with leftover mash and specked with smoky ﬁsh, the patties are then covered in breadcrumbs and fried to a crispy perfection. 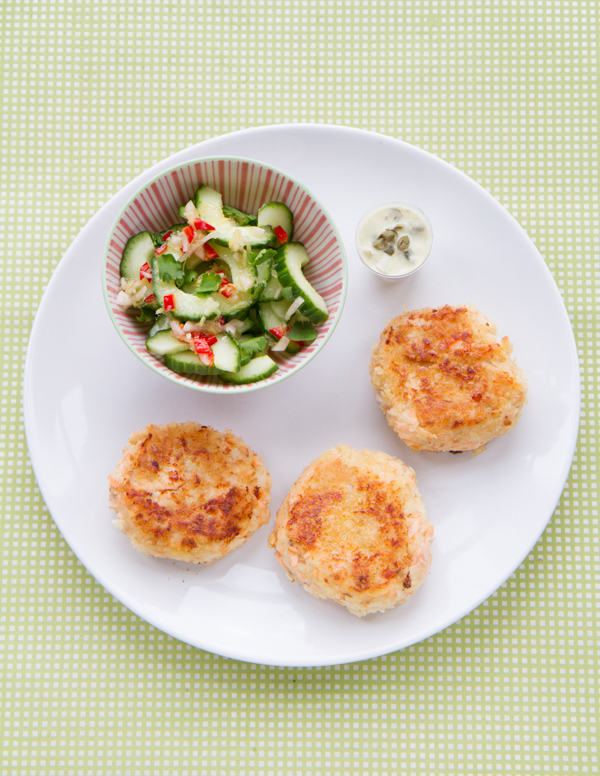 I’ve given my ﬁshcakes a slight Asian twist, adding ginger and wasabi to the mix and serving them with a fresh and spicy cucumber salad. 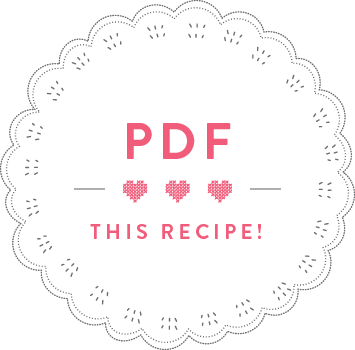 This recipe is from my first book. For the ﬁshcakes, peel the potatoes and cut into evenly sized chunks. Put into a large saucepan and cover with cold water. Add a generous pinch of salt and bring to the boil, then turn down the heat and simmer until tender, but not mushy. Drain and put back into the saucepan, then roughly mash. Add the butter, wasabi, ginger, lemon juice and parsley and mix well. Meanwhile, put the ﬁsh into a large pan and just cover with water. Bring to a simmer, then gently cook for 3–5 minutes, depending on the size of the ﬁllets, until the skin, if any, pulls off easily, and it’s just beginning to ﬂake. Discard the skin, break into large ﬂakes and add to the potatoes. Season generously with salt and pepper and mix until everything comes together. Use your hands to shape the ﬁshcake mix into 8 large cakes or 12 smaller ones. The mix will be quite soft; if it seems really too soft to handle you can refrigerate it for 30 minutes before shaping it. Meanwhile, prepare the salad dressing and the mayonnaise. Peel and ﬁnely chop the shallots and put into a bowl with the ginger. Cut open the chili and remove the seeds, chop and add to the bowl. Add the vinegar, sugar, sunﬂower oil, sesame oil and soy sauce, cover and set aside. Prepare the mayonnaise by adding the wasabi and chopped capers, refrigerate. Heat a frying pan with the oil and butter until the butter begins to foam. Add the ﬁshcakes, in batches if necessary, and cook for 5 minutes on a medium-high heat until golden. Then turn them carefully over and repeat on the other side. Meanwhile, wash the cucumbers and cut lengthways. Scoop out the watery seeds and cut the cucumber into slices. Serve with the dressing and sprinkle with coriander.